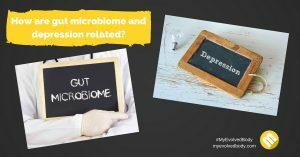 A countless number of studies have linked gut microbiome to our mood, behavior, autism, emotion, and diseases such as Parkinson’s Disease, rheumatoid arthritis and even cancer. Due to these studies, scientists have announced the Human Microbiome Project to further study the micro-organisms co-existing in the body, and the possible effects they have on human physiology and psychology. This has led to several experiments involving various diseases and medical conditions. One experiment, in particular, involved the effects of bacteria in the stomach on depression, anxiety and overall mental health. There is evidence that the health of our gut flora has an effect on our brain. In a 2011 study, the stomach bacteria, Lactobacillus rhamnosus, altered the gamma-amino butyric acid (GABA) activity in mice’s brains. The said gut bacteria also play a role in dealing with stress. The vagus nerve serves as a between the gut and the brain where the bacteria can communicate. 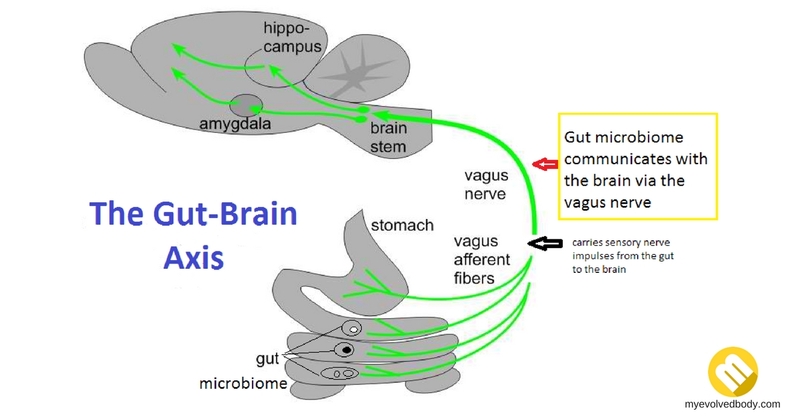 Through the gut-brain axis, a connection existing between the brain (through the vagus nerve), the heart, lung and esophagus, information from the digestive system is relayed to the brain. During the study, the vagus nerve was cut, after which, anxiety, depression and stress levels significantly worsen in mice. Based on studies , Lactobacillus and Bifidobacterium are two of the most useful gut bacteria that can regulate stress hormones in our blood stream. Higher levels of the two bacteria results into a decrease in anxiety during stress-induced activities. For this reason, these helpful bacteria need to maximize in the stomach. In order to do this, you need to feed them with prebiotics. Prebiotics help good bacteria to thrive in the stomach and act as “fertilizer” to good bacteria in order to increase their population versus the bad bacteria. As long as the good bacteria-bad bacteria ratio is maintained, the gut remains healthy. This is why those who consume prebiotics on a daily basis experience lesser stress, anxiety and depression. Individuals who regularly consume prebiotics were found to have lower levels of cortisol in their saliva. When it comes to mind-gut communication, early life experiences and childhood memories affect the way they communicate. Aside from our emotions, the mind-gut connection also affects our decision-making. Dr. Emeran Mayer, executive director of the UCLA Center for Neurobiology of Stress, wrote the book, The Mind-Gut Connection, to explain the way our brain, gut and the millions of microbes inside, communicate. Being a believer of the Buddhist philosophies of interconnectedness, compassion and balance, he believes that the gut is connected to the brain, and in fact, the two communicate with each other. Dr. Mayer explains how the mind communicates with the gut through “gut reactions” and how the gut talks to the brains through “gut sensations”. He also dedicates a chapter about gut microbes role in the mind-gut communication. When it comes to mind-gut communication, early life experiences and childhood memories affect the way they communicate. Aside from our emotions, the mind-gut connection also affects our decision-making. Dr. Mayer discusses in detail how intuitive decision-making is possible through signals given by the gut. Finally, the last three chapters of the book discusses keeping the brain—gut health to an optimum. 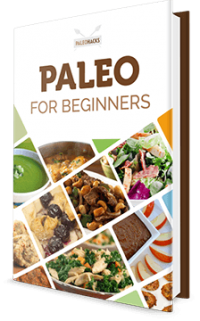 Perhaps, the most useful chapter for Paleo eaters would be Chapter 9 of the book, as it focuses on the role of food, with most of the principles and points mentioned, are from hunter-gatherers. Probiotics and prebiotics are two different things. Probiotics refer to the live bacteria found in yoghurt, pills, drinks and other dairy products. There are hundred different species of probiotics, which need to compete with the existing bacteria in the gut. Unfortunately, probiotics must be kept alive in order to experience their benefits. 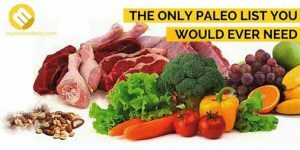 However, heat and stomach acids easily kill them. There are certain probiotic species which as especially helpful in diarrhea and irritable bowel disease. Unfortunately, not all species are identified and proven to have benefits to the human body. Prebiotics, on the other hand, are a special dietary fiber that acts as fertilizer for good bacteria. Prebiotics provide nourishment that good bacteria in the gut need. It is more advantageous to take prebiotics than probiotics because stomach acids, cold temperature or time does not affect them. 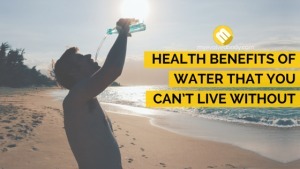 Moreover, it makes sense to nourish the already existing good bacteria in the gut to help them multiply rather than take in additional live bacteria which run the risk of not being able to survive the stomach environment. Some prebiotics are special forms of , specifically known as non-digestive oligosaccharides (NDO). Oligosaccharides refer to a group of simple sugars that forms a unit. Hence, they are also referred to as prebiotic carbohydrates. However, in order for NDOs to be considered as prebiotics, they should be able to show evidence that they can promote growth of any good bacteria present in the gut. The stomach cannot break down prebiotics fully, being a fiber. As a result, they pass through the small intestine and into the colon, where the gut microbes ferment them. Prebiotics act upon the gut microflora in such a way that changes benefit the host’s health and well-being. Prebiotics exist naturally in fruits and vegetables. Since they are dietary fibers, they can be found in the skin of bananas, apples, garlic, onion, chicory root, Jerusalem artichokes and even beans. An adult’s recommended dietary allowance for fiber should be around 25 grams everyday. 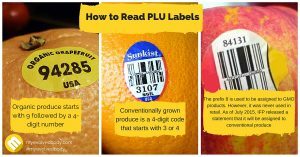 Unfortunately, the fruits and vegetables mentioned only contain around one to two grams per serving. Getting the recommended amount of dietary fiber would require you to use foods high in prebiotic sources generously in your every . Aside from natural prebiotics found in food, there are also available prebiotic supplements in the market. Most come in powder form so they can easily be mixed with any beverages. Most prebiotic supplement comes in packages equivalent to a daily dose so it is easier to consume your daily intake and the amount ca be easily monitored. If natural sources are not readily available or you cannot possibly eat the recommended amount of fruits and vegetables rich in prebiotin, then a prebiotic supplement such as Prebiotin is the answer. Generally, bloating, gas and diarrhea usually indicate an unhealthy gut. 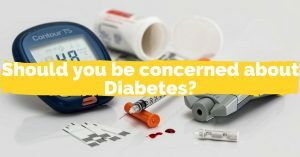 Other symptoms and signs that may indicate an unhealthy gut include food allergies and sensitivities, skin problems such as eczema and rosacea, diabetes, fatigue, arthritis and body aches. 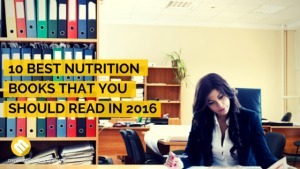 There are many tests available to help determine if you have a healthy gut or not. For instance, a stool test will help determine the bacteria and parasites (if any) that are present in your gut. It looks at the overall state of the intestinal immune function to help determine inflammation in the gut. Aside from microbes and parasites, yeasts and bacteria contributing to changes in mental and emotional state can also be determined. Any food that causes stress to the digestive system must be removed. This includes gluten and dairy that commonly causes stomach upsets. Cut down on processed foods, refined sugars and carbohydrates, caffeine and alcohol. Any food that causes irritability to the gastrointestinal system must be removed. If you continue to eat these types of food, it causes inflammation of the GI tract, which eventually causes damage to the GI tract. 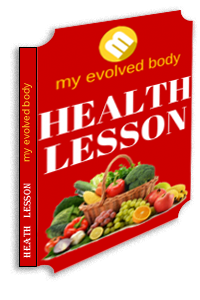 Once all toxins and gut stressors are removed, start repairing the intestinal lining. This can be achieved by eating organic, unprocessed foods and wholefoods. Take some supplements too. Antioxidants such as Vitamin A, C, and E. Take as much omega 3 fatty acids, L-glutamine and quercetin as you can. Turmeric and Aloe Vera are also good for the gut as they have anti-inflammatory properties. A normal gut flora means there is more of good bacteria than bad bacteria. Taking drinks and pills containing Lactobacillus acidophilus or Bifidobacterium lactis is a good way to restore your gut flora to normal. Once your stomach contains at least 85% of good bacteria, you will experience lesser stomach upsets and digestive problems. If you are the type to get sick with stomach flu or experience digestive problems all the time, take regularly. Foods rich in probiotics include yogurt, unpasteurized sauerkraut, miso or soybean paste, soft cheese, kefir, sourdough bread, probiotic milk, sour pickles, and tempeh. Even if there are harmful bacteria such as clostridium or salmonella in your stomach, you will never exhibit any symptoms as long as bad bacteria is kept at bay and do not grow out of control. In order to help good bacteria flourish, complement your probiotic intake with prebiotics. This way, the good bacteria ingested would be given the right environment to grow and multiply. Eat high-fiber, prebiotic rich foods or take prebiotic supplements together with probiotic drinks or pills to ensure a generous amount of good bacteria in your gut. Sometimes, our bodily functions need help. For instance, digestive enzymes such as hydrochloric acid, bile salts, etc. cannot replenish fast enough and need assistance in order to reach optimum levels. It would be best to take digestive enzyme like organic bile salts to help optimize the hydrochloric acid levels. There are many reasons why our gut flora is throw off balance. Taking anti-biotics, for instance, kill both good and bad bacteria. NSAIDs and birth control pills do these too. Diets rich in processed foods, carbohydrates and sugar can also contribute to an unhealthy stomach flora. and wheats are considered toxins that can cause leaky gut. A diet low in prebiotics can also make the gut flora unhealthy. Chronic infections and stress also contribute to an unhealthy gut flora. In order to combat these, get enough sleep, exercise regularly and eat healthy. Although the brain-gut connection has already been established in rat and mice studies, human studies and evidence are still limited. The data gathered is not enough to confirm the connection in humans. However, we cannot negate the fact when we are angry we feel our stomach clench or butterflies fluttering inside when we are nervous, a condition often referred to as “gut feelings”. Just like the rest of our bodily functions, healthy eating is still the best way to maintain a healthy gut-brain connection. In effect, we also achieve excellent mental health once we always keep our diet healthy. Gut flora and the possible effects they have on human physiology and psychology explained. Keeping a healthy gut also keeps the mind healthy. Check out these 5 tips to ensure a healthy gut to prevent depression.